Water needs to be purified because they can be contaminated with urea, dirt and a lot more things which can cause danger to one’s life. Purified water is filtered or processed so that it can be safe and clean for drinking. The most common forms of purified water are distilled water and deionized water, but water can also be filtered by various procedures like, microfiltration, ultrafiltration, ultraviolet oxidation, electro dialysis, reverse osmosis or carbon filtering. Purified water is also used for autoclaves, laboratory testing, laser cutting, etc. Purification eradicates contaminants which may cause harm to a people’s health. 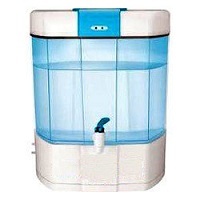 Water filtration devices are used on a large scale by many people.